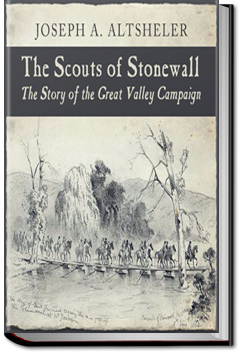 In this third book of Joseph Altsheler’s Civil War series, Harry Kenton, a lieutenant in the Southern Army, is on scout patrol in the Shenandoah Valley. He has attracted the notice of the great General Stonewall Jackson after his regiment, the Invincibles of South Carolina, suffered great losses at the Battle of Bull Run. As the war continues, Harry meets each challenge that he faces with his close friends and fellow warriors. This entry was posted in Action/Adventure Books and tagged allyoucanbooks, audio books free download, ebooks, free audio books, free books, free online audiobooks, free online books, unlimited action and adventure books on July 22, 2015 by allyoucanbooks.